Plus, Kayla answers my patented rapid-fire questions at the end of the episode, which unveiled who she’d choose to have a 30-minute Skype call with if give the chance. Who is it? You’ll have to listen to find out. Are One-on-One Connections the Key to Jump-Starting Your Online Business? Jerod Morris: Hey, Jerod Morris here. If you know anything about Rainmaker Digital and Copyblogger, you may know that we produce incredible live events. Some would say that we produce incredible lives event as an excuse to throw great parties, but that’s another story. We’ve got another one coming up this October in Denver. It’s called Digital Commerce Summit, and it is entirely focused on giving you the smartest ways to create and sell digital products and services. You can find out more at Rainmaker.FM/Summit. We’ll be talking about Digital Commerce Summit in more detail as it gets closer. For now, I’d like to let a few attendees from our past events speak for us. Attendee 1: For me, it’s just hearing from the experts. This is my first industry event. It’s awesome to learn new stuff and also get confirmation that we’re not doing it completely wrong where I work. Attendee 3: I think the best part of the conference for me is understanding how I can service my customers a little more easily. Seeing all the different facets and components of various enterprises that helps me pick the best tools. Jerod Morris: Hey, we agree. One of the biggest reasons we host a conference every year is so that we can learn how to service our customers, people like you, more easily. Here are just a few more words from folks who have come to our past live events. Attendee 6: The training and everything, the speakers have been awesome. I think the coolest aspect for me has been connecting with both people who are putting it on and then other attendees. Welcome back to The Digital Entrepreneur, the show where digital entrepreneurs share their stories and the lessons they’ve learned so that we can all build better digital businesses. I’m your host Jerod Morris, the VP of marketing for Rainmaker Digital. And this is episode No. 28. On this week’s episode, I am joined by someone who is passionate about community building, branding, collaboration, and connection. She is a community and brand coach who can assist people “from launchpad to take off.” She believes that her middle name should be adventure. Oh, and she also believes in Oxford commas and exclamation points too. She is a short-form poet and haiku enthusiast, and she recently self-published her first poetry collection called Brave Little Bones just last year. She actually got her start by hosting the first-ever Twitter chat for creative bloggers and business owners at #CreateLounge. She is now bringing her extensive background and online community building to help others build a community that supports their brand vision. She is Kayla Hollatz, and she is a digital entrepreneur. Real quick, before I bring you my discussion with Kayla, I want to let you know a little bit about the Rainmaker Platform. Obviously the Rainmaker Platform powers The Digital Entrepreneur. It powers all of our shows at Rainmaker.FM. It is the complete solution for digital marketing and sales. What Rainmaker does is it empowers you to build your audience with articles, audio, and video. It empowers you to grow your email list faster. To earn more with marketing automation. To craft killer landing pages, start profitable membership programs, sell online courses and digital products, and much more. It does it all — all in one integrated, simple platform. There is virtually nothing that you cannot do with Rainmaker. Even better, you never waste valuable time searching for plug-ins, worrying about themes, or trying to understand complicated code. Forget about hosting maintenance and security updates — Rainmaker covers all of that for you, so that you can focus on your business and less on your technology. To take the tour, to check it out, to see everything that Rainmaker has to offer, go to RainmakerPlatform.com. You can do a 14-day free trial. So you can really get in, kick the tires, see what Rainmaker is all about. Try it out for yourself. All righty, let’s go. Let’s talk with Kayla. This is a great discussion. I think you will really enjoy it. A lot of energy, a lot of insight. She gives two really interesting answers to the questions I ask about the one word that she would use to describe her business now and a year from now. I haven’t heard these words before. I think you’ll find them interesting. All righty, here is my interview with digital entrepreneur Kayla Hollatz. Ms. Hollatz, welcome to The Digital Entrepreneur. Kayla Hollatz: Thank you so much for having me, Jerod. I have been following along with Rainmaker and Copyblogger for so many years now. It is so amazing to be on the podcast today. Thanks so much for having me. Jerod Morris: Oh, for sure. It’s our pleasure. You and I have interacted a lot on Twitter. That’s one of the things I love about hosting different podcasts, is a lot of times there will be people I have interacted on social media, and then eventually we have reason to jump on a podcast together and actually talk. It’s a great way to take those relationships from social media to the next step. Not like we’re meeting in person, but at least our voices are together. Kayla Hollatz: Absolutely, yeah. It almost comes full circle in that way. Jerod Morris: Yes, yes it does. All right, so let’s jump in. Are you ready to answer some questions about digital entrepreneurship? Kayla Hollatz: Oh, I am so ready. Let’s go. Jerod Morris: Excellent. Okay, so let’s start from the top. Kayla, I’ve always believed that the number-one benefit of digital entrepreneurship is freedom. Most people agree — the freedom to choose your projects, the freedom to chart the course, and ultimately the freedom to change your life and your family’s life for the better. Besides freedom, what benefit of digital entrepreneurship do you appreciate the most? Kayla Hollatz: I think the freedom definitely is huge, like you said. I think a lot of it is being able to utilize my skills in a way where it’s going to transfer over not only to my business, but also to all of the other passion projects that I actually work on outside of my business too. I know once I had a day job, it was difficult for me to be able to find that time in order to dedicate it to all the different projects that I had. Now that I have dove into digital entrepreneurship, it allows me to have that more flexible schedule, which I’m sure goes along with freedom. Yeah, that flexibility and being able to choose your own path is huge. Jerod Morris: Yeah, it’s funny. Almost everybody’s answers to that question — it’s some subset of freedom. You’re so right. For me personally, obviously I do what I do for Rainmaker Digital, and hosting the show is one of those things. Then the side projects, and being able to do a show like I do with The Assembly Call — that is obviously not something I do for work, but takes what I do for work. And then I can take that to the next level and develop it, and even use it as case studies. It’s a really nice benefit. That’s a good one. Kayla Hollatz: Yeah. I really love what you said about that too. Because I was always that kid who grew up, and everybody was telling me that I had to pick one thing that I was going to be forever. And I just couldn’t do it. Even into college, I had a hard time with that. I transferred universities, I changed my major. I think a lot of people can also relate to that, because it is hard sometimes when we hear that we have to choose one thing. Yeah, I love being able to feel like I can be multi-passionate and have multifaceted brands and still be successful in the digital entrepreneurship space. Jerod Morris: Yeah. Take me back to before you became a digital entrepreneur. What were you doing, and what was missing that lead you to want to make a change? Kayla Hollatz: Sure. I really started my blogging journey back when I was a junior in college. When I graduated from college, I got a PR agency job right away here in the cities in Minneapolis, Minnesota. I did like the work that I was doing there. I felt like the people who I wanted to talk to and get out of bed in the morning for were those creative bloggers and entrepreneurs. I had been connecting with them for quite a while through my blog and also through a Twitter chat that I run, which is #CreateLounge. Really after doing a lot of that and seeing that there’s so much potential there, and starting to test out a few different monetization streams, I saw that this would be my chance to try and take the leap from that day job and run the business that I had always wanted to run back when I was in college. I went for it. It’s been incredible ever since. Jerod Morris: How long ago was that? Kayla Hollatz: That was in April of this year. It has been about four or five months now. Jerod Morris: Okay, you’re fresh into this? Kayla Hollatz: Yeah. I’m a newbie, but I’m loving it. Jerod Morris: Okay, you talked about the hashtag, the Twitter chat. Can you find that a little bit, how you got going with that, and maybe some of the benefits that you’ve seen from it? Kayla Hollatz: Yeah, absolutely. My background is really in public relations. That’s what I went to school for and got my degree in. When I was in college, I wanted to try and put myself out there and be in front of different agencies and other companies that were in town. I would participate in quite a few different Twitter chats. I did that for about a year and a half before I decided to start my own. The huge reason why I decided to start my own was because I saw that there was this huge gap in the creative blogging and entrepreneurship industry at the time. Nobody was really talking to a lot of the bloggers that I was talking to in that specific kind of platform. I thought, “Hey, why not try and host a Twitter chat?” It was the month after I graduated that I launched it. I’ve been running it now for over a year and a half. It’s been crazy to see the growth that’s happened because of it. Jerod Morris: Basically the way a Twitter chat works is you pick a hashtag, and then there’s a specific time when you’re going to talk about this topic. Then you have maybe some questions set up at the beginning that leads the conversation. Then people from all over chime in on that hashtag, right? Kayla Hollatz: Yeah, you’ve got it. Jerod Morris: Of our listeners, who do you think would benefit from doing something like that? Someone’s trying to get a conversation going with their audience — who might benefit from a Twitter chat? Kayla Hollatz: I see that Twitter chats, again, are a great space for people that are in the blogging space specifically. The entrepreneur space as well. Also, I see a lot of freelancers popping up into chats as well. I think why that is, and especially for a lot of us who are starting businesses on our own and in the solopreneur space — it can be a little bit lonely and even isolating at times. I think being able to gather around other people who are like you, even if you can’t necessarily gather in the same physical space — being able to be together live on a platform like Twitter, and having those conversations and having a dedicated space every week in order to do so, is really powerful. Not only for me, but I see it a lot for the participants as well. Jerod Morris: Tell me about a milestone or moment in your career as a digital entrepreneur. And I know it hasn’t been a long one so far. Tell me about a milestone or moment that you have been the most proud of. That’s when I started to have some fun thinking about all of the different ways that I could grow this online community. Which would make sense for my business, but would also make sense for the community that had been so dedicated to what we were doing. I decided that I wanted to bring it to a platform like a podcast, which has been so fun to run. I have different people from the community that I interview, of course. It’s been really cool to be able to allow people to have a platform to tell their story in more than just a 140 characters. I’m sure all of us on Twitter know that it’s a little bit difficult to shorten what we want to say in that little of a space. It’s been really cool to have different evolutions, I guess, of your community and your brand. And being able to look back and see that all of those little wins make up the huge wins all in the process. Jerod Morris: Your podcast, most of the guests have come from that Twitter chat? Jerod Morris: That’s interesting. I just recorded a new episode of The Showrunner with Jonny Nastor yesterday. Our topic was how to identify guests for your podcast. This one would have been a great way to add: Start a Twitter chat, get conversations going, and find people there. There we go. Need to record an addendum to that episode. Okay, on the flipside from that question, you told us what your proudest moment was. Tell me about the most humbling moment that you’ve had so far as a digital entrepreneur, and more importantly what you’ve learned from it. Kayla Hollatz: That’s a really good question. I would say the first one that comes to mind is when I was first thinking about monetizing, and at that point I was thinking about doing an ebook, since writing is my first love. When I was thinking an ebook topic, I was thinking about maybe doing something about rebranding, since I had been known for rebranding quite a bit in my early stages, until I fell into this niche of online community building. When I was thinking about doing that, I said: I want to make sure that it’s something that my audience wants. I reached out to my audience through a quick photo on Twitter and a few different other places and asked them, “Hey, option A, option B. Do you guys want me to talk about rebranding?” I picked a random topic out of the sky to compare it to content strategy, since that made sense for where my brand was headed. And 72 of the 75 people that reached out to me said that they would rather have that content strategy instead of the rebranding ebook. That was a huge reminder to me that even though I’m talking with my audience weekly, and I may think sometimes I know exactly what they need, it’s always so important for us to extend that olive branch to start that conversation and ask them what they really want. Jerod Morris: Great lesson — instead of assuming, actually ask and find out. That’s great. Let’s fast-forward to now. What is one word that you would use to sum up the status of your business as it stands today? Kayla Hollatz: Yes. I’m somebody where I’m a little bit more on the scattered creative side when it comes to my creative process and the way that I work on my projects. I read this book that’s called Manage Your Day-to-Day by the 99U contributors. It was amazing to hear how so many different bloggers and writers and entrepreneurs manage their day and try to fit into a routine. For the longest time, ‘routine’ was a dirty word to me, since I do like to be a little bit more spontaneous. The more that I’ve tried to look at my time and my distractions, and even some things that I was doing that were acting as red flags, it’s really helped me in trying to find a little bit more of a rhythm. ‘Rhythm’ feels a little bit better to me than ‘routine’ anyway. But that’s basically what it is. That’s what I’ve been focusing on in this season of my business. Jerod Morris: I like it. You’re rebranding your need for routine for a need for ‘rhythm.’ Okay, what objective then is at the top of your priority list right now, and what specifically are you doing to achieve it? Kayla Hollatz: Sure, that’s an awesome question. I would say the top priority right now is trying to build up my core shop that I have for my website. I’m sure that’s something that a lot of entrepreneurs are also doing, since courses have become such a huge platform for being able to teach and connect with your audience. It’s something that I have been creating behind the scenes and launching a few here and there too. It’s been really cool to see how so many more people can really learn, because I’ve done a lot of coaching with my clients. It’s also nice to be able to give them that alternative of something where they can do something that’s a little bit more affordable and also at their own pace. That’s specifically what I’m doing behind the scenes right now. I, of course, have all other kinds of ideas. I’m really trying to focus on this one right now for that rhythm. Jerod Morris: You haven’t launched any of the courses yet, but you’re building them in the background right now, getting ready for launch? Kayla Hollatz: I actually do have one course that I launched, which is called #ChatBoss, which is of course about hosting your own Twitter chat. I have been creating some other ones that are a little bit more about the whole community-building process, and goes a little bit more into the exercises that I go through with my own coaching clients. Jerod Morris: Okay. That’s interesting, because in preparation for this, I was looking at your website. Maybe you can give folks a little bit more insight into how people work with you currently. If you look at your Work with Me page, you’ve got some different coaching packages — ‘The Leap’ and ‘The Plunge,’ and the prices are there, and what people get. That’s what I was thinking as I was going to looking at what you’re describing is, this is ripe for a course. Obviously you may want to keep these packages, these premium packages for people who work one-on-one. Maybe for people who don’t want to make that big of an investment or have the time for a course to be able to give it to them that way — that’s really exciting to hear that that’s the direction you’re going in. Kayla Hollatz: Yes, absolutely. It wasn’t until I had a few people who weren’t quite able to financially take that leap into one of the coaching packages that said, “Man, I just wish that I could use your brain for a little bit.” Maybe it wouldn’t necessarily be the one-on-one intention. That’s really why I decided to do this. Like you said, it was one of those light bulb moments, where you’re like, “Wow, I should have thought of that before.” It’s a great way to go about it for anybody who is doing services and is maybe having some potential clients that are wanting to access them, but in different ways. Jerod Morris: Yeah, it allows you to work with more people, it allows you to multiply your efforts in a sense without doing anything more. I think the way that you’re going about it is smart, because you’re able to hone your message and your teachings through the services. Now you’re probably more ready to teach a good course than if you had jumped into it before you had that experience. I think it’s a great path to follow. Jerod Morris: With that then, tell me about the biggest challenge that you’re facing as you’re trying to take what you’ve been teaching and turn it into courses. Kayla Hollatz: Sure. You know, I think it’s probably the same challenge of a lot of people who are in their first year of business, which is sustainability. Trying to find a business model with those different streams of income, as well as having different tiers, like we were just talking about, in a way that all works together — it flows together, and it gives you some of that sustainable income. You’re able to work on more of those passion projects and other things that you’re doing, while still having something that’s going to keep clients as well as students coming in too. Jerod Morris: Yeah. Let’s open up your toolbox a little bit. What is one technology tool that contributes the most to your success as a digital entrepreneur? Kayla Hollatz: I feel like Google Drive in such a tough one to put out there, because almost everybody uses Google Drive. Jerod Morris: Hey, but if it works. Kayla Hollatz: Right? I totally love Google Drive. I hardly actually have any folders on my own computer, because I keep everything there, since it’s accessible from anywhere. I would say Google Drive is definitely where I am constantly the most. Jerod Morris: I’m glad that you said that, because I think a lot of people just take it for granted. I’ve asked this question many times and I’ve always thought about what my answer would be. I’ve never thought about Google Drive, but yet I use it all the time. I take it for granted. It’s there in the background, but it works. That’s a good one. Kayla Hollatz: Yes, it’s great. Kayla Hollatz: Oh, definitely my journal. Without a doubt, my journal. I have about five different journals going on right now. I am an avid journaler. I’m one of those people where I don’t really know what I’m thinking unless I have it on the page right in front of me. I love being able to write, especially in a way where I can keep it private and it’s only for me to be able to work through whatever my mindset is, and whatever I’m going through in my business. Or even just my personal life too, so journaling for sure. Jerod Morris: Journaling, okay. I really like that one. All right, moving forward. Earlier I asked you what the one word was that you would use to sum up the status of your business as it stands today, and you said ‘rhythm.’ If we talk again in a year, what would you want that one word to be? Kayla Hollatz: Yes. I think with rhythm comes a feeling of ease. To me that word feels like an exhale. I think so much, when you’re starting your business, everything feels like you’re inhaling everything. And you’re trying to take in as much as you possibly can. I think in a year I really want to feel like I’m at an exhale point in business. Jerod Morris: Very nice, rhythm and ease. I like that. I want to go back to your podcast again real quick. How do you plan on using your podcast, and how do you think it will help you as you grow your business, as you go from rhythm to ease? How do you think the podcast plays into it? Kayla Hollatz: I think especially with what I’m doing with podcast right now is, I actually have the rest of the podcast episodes all recorded up until the end of this year of 2016. That to me helped me feel like I was a little bit more at ease, because I’m doing everything in the background right now. It helps me too, because all of the podcast episodes — how I’ve structured it is that the podcast episodes go out on Thursday, and then every following Wednesday is when I have the podcast guests as the guest host then for the Twitter chat, and we talk about the topic. It’s nice to have everything scheduled out, not only the podcast but also the Twitter chat. I’m able to get everything done at one time, so then I can focus on some other projects too. Jerod Morris: That’s smart to use the podcast in conjunction with the Twitter chat, I like that. When you’re working with folks, you typically work with folks and help them to grow and build their communities, right? Jerod Morris: As you work with people on building their communities, growing their communities, what have you found tend to be the one or two things that aren’t necessarily missing, but tend to be the things that when people really focus on them, it gives them the biggest bang for their buck or the most bang for their energy when they turn it around or make some changes? Kayla Hollatz: I absolutely love this question, because I hear it quite a bit. The thing that I think a lot of people overlook is the importance of those one-on-one connections. That’s really how I built up my personal brand and why I was even able to take that leap into my business. When I launched my services, within that first month I told myself, if I could book my services out for about four to five months, I could start to think about possibly leaving my agency job. I was able to do that within that first month of launching. The only reason that I think I was able to do that was because I for two years had built up this really dedicated tribe of people through the one-on-one connections. With not having connections just start on Twitter and stay there — really taking it to phone calls and video calls and even sometimes meeting in person. I think it’s something that is so important for us to do, especially in the early stages of business. Because those connections are going to end up following you into all the different evolutions of your business. Jerod Morris: What tends to make that click for folks? Do you think that people are afraid that that won’t scale? Are they afraid of making the connection? Do they think it’s not that impactful? What tends to be the thing that gets that to click? Kayla Hollatz: I think some of it is what you just said about worrying how in the world that’s going to scale, what’s that ROI that everybody talks about. I think the main thing too is that a lot of people feel a little bit timid about trying to go into somebody’s inbox and introduce themselves. I know all of us probably have pretty full inboxes right now. I think the important thing is to remember that it all depends on the personality and what you put into your email. It’s not going to feel like just another email in somebody’s inbox if you personalize it and make it something really special. And also show that you know the person well already, that you’ve already invested some time and energy into figuring out what they’re all about and trying to take that connection further through another kind of medium. Jerod Morris: Kayla, are you ready for some rapid-fire questions to close this out? Kayla Hollatz: Beyond ready. Let’s do it. Jerod Morris: Let’s do this. Okay. If you could have every single person who will ever work with you or for you read one book, what would it be? Kayla Hollatz: You know, I feel like in this season right now, I have to pick Big Magic. I know that’s a huge book right now, especially in the creative world. It’s by Elizabeth Gilbert, who wrote Eat, Pray, Love. That’s what she’s most known for. I love the book because it talks about creative living beyond fear, and I think it’s a practical way to start thinking about your creativity, how ideas come to you, and fostering your own sense of creativity. Also for a lot of people who are listening, who may not necessarily feel like they’re a ‘creative person.’ This book is going to debunk a lot of those myths that you’ve been told. Kayla Hollatz: I think I would have to pick — and this is a hard question for me too, because I have so many people that run through my mind. I think I would have to pick Sophia Amoruso, who is the founder of Nasty Gal who also wrote the book #GIRLBOSS. She has created a huge movement for female entrepreneurs. What I love most about her is she has built her business in such a unique and Sophia-only kind of way. I think I would want to meet with her specifically, because she not only knows business, but she also knows how to do it in a way that’s authentic to her, which I admire. Jerod Morris: What would your first question be to her? Jerod Morris: Good one. Very good. Okay, what is the one email newsletter that you cannot do without? Kayla Hollatz: I would have to say, right now I am all about Caroline’s newsletters from Made Vibrant. I think that she creates some of the most beautiful art prints. I have a few that are actually hanging up in my office right now. What I love most about her is she talks about business, but also creativity and what it’s like to live a creative life out loud. I always honor her transparency and her vulnerability in all of her newsletters. Jerod Morris: That leads us right into this question. What non-book piece of art had the biggest influence on you as a digital entrepreneur? Jerod Morris: That’s why I asked the question this way. Kayla Hollatz: When I was actually thinking about this question before too, I was like, Oh, shoot, all the things I’m coming up with are books. I would have to say that the biggest non-book piece of art would be Magic Lessons. It’s a little bit of a cheat, because Magic Lessons is actually a podcast that is based off of the book Big Magic that I talked about earlier in the episode. I’m going to say that I can give myself a little bit of that loophole, because I totally love the podcast and what Elizabeth Gilbert has done with interviewing so many different creatives from all paths of life, who are really struggling and figuring out exactly what their path is going to be, and then bringing on experts who can share a little bit more of their story. It gives you access to meeting a whole lot of people you would probably never meet, as well as, of course, the experts that are always fun to hear from. Jerod Morris: I’m going to have to check with the judges on that to see if we can allow that. Judges? Yes, okay, all right good. We’re going to allow that. It counts. Kayla Hollatz: I think it relates to what I was talking about before, about batch scheduling. With the podcast episodes and the Twitter chats, like I was talking before, batch scheduling has been my number-one best friend. It’s helped with that rhythm that I was talking about before too, of feeling like instead of having to fit writing and editing podcast episodes, and creating blog visuals and all of those different things that can be hard to shift between, it allows me to be able to dedicate a full day to writing, and then the next day is maybe all about podcast episode taping and editing. It makes it really nice, because you don’t have to shift when you’re already in the zone in a specific kind of task. Jerod Morris: It helps you get into a flow state much more easily. When you’re a digital entrepreneur, you have the freedom to do that, if you choose to do so. Jerod Morris: Final question for you Kayla, what is the single best way for someone inspired by today’s discussion to get in touch with you? Kayla Hollatz: It’s probably no surprise after this episode, but it would definitely be Twitter. Everybody jokes that I live on Twitter, and they aren’t wrong. On Twitter I am @Kayla_Hollatz. It’s pretty easy to find me. You can also jump in, of course, with the Twitter chats at #CreateLounge on Wednesdays at 7 p.m. Central. Yeah, thank you so much. Jerod Morris: Wednesdays at 7 p.m. Central — always the same time? Jerod Morris: Very nice. Helps people know where to find you. Jerod Morris: It’s @Kayla_Hollatz, right? Kayla Hollatz: You’ve got it. Jerod Morris: Excellent. Kayla, this was a lot of fun, really appreciate you coming on. Kayla Hollatz: Thank you so much for having me, Jerod. This was a total blast. Jerod Morris: Yeah, great to talk to you. Have a good one. Thanks to Kayla Hollatz for taking some time to join us here on The Digital Entrepreneur. My thanks as well to my production team here on The Digital Entrepreneur: Caroline Early, Will Dewitt, and also our great editing team led by Toby Lyles. The Digital Entrepreneur would not be possible without you guys. Thank you. Of course, thank you, the listener, for being here. 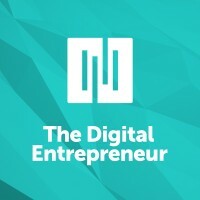 Without you there would be no reason to have these Digital Entrepreneur episodes. I do want to give you one more quick reminder. Go to RainmakerPlatform.com. Check it out. If you want to get more power with less pain and higher profit with your website, then you need the complete solution for digital marketing and sales. That’s what the Rainmaker Platform is. That’s why I’m telling you about it here. That’s why I use it for all of my personal sites. Go check it out. Take the 14-day free trial and see if it is the right platform for you. All right, Everybody. Have a great week, and we will talk to you next week on another brand-new episode of The Digital Entrepreneur. We have a great guest planned for you. This is a guy who you probably know. It’s a face you know, a voice you know, and he is here to lend his insight on The Digital Entrepreneur. So tune in next week for that. Talk to you then.